Early Learning Centers that offer care for infants and toddlers must attend to the all important process of bonding and attachment. The critical importance of secure bonding and a strong, secure emotional attachment between parents and infants is common knowledge and scientifically documented. Daniel Siegel, National Institute of Mental Health research fellow at UCLA, writes, “an infant who has a healthy secure attachment has had the repeated experience of nurturing, perceptive, sensitive, and predictable care giving responses from her mother which have been encoded implicitly in her brain.” Medical advances in brain imaging technology provides clear documentation of the differences in patterns of brain development between children with strong, secure attachments and those without. The effects of this early brain development is lifelong. For an Early Learning Center such as James’ Place the challenge is clear. The Early Learning Center either reinforces and strengthens the healthy attachment process by assuring that the “repeated experience of nurturing, perceptive, sensitive, and predictable care giving responses” are sustained through the child’s day at the Early Learning Center, or it does not. Simply providing adequate but perfunctory custodial care does not meet this criteria. Early Learning Centers must do more than simply assure children are clean, fed and dry. 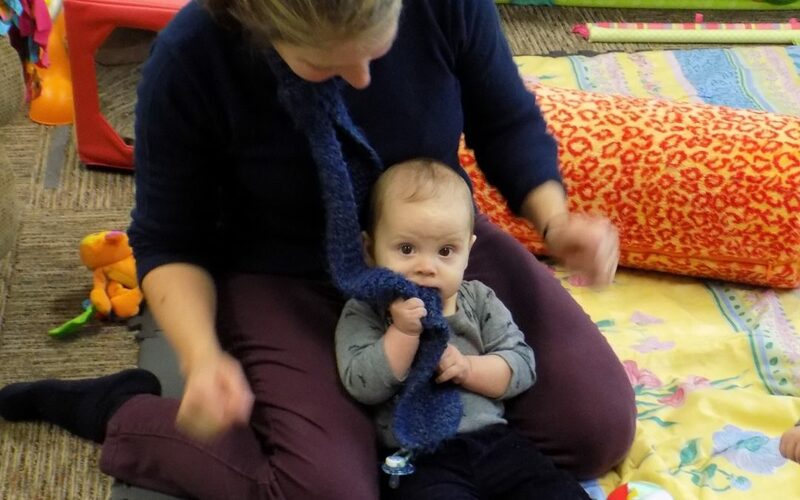 Early Learning Center teachers must be available to interact actively with the children, attend to their emotional needs, and communicate verbally and non-verbally in all interactions that the child is loved, cherished and safe. These responses must be consistent and predictable throughout the child’s tenure at the Early Learning Center. The vehicle that facilitates implementation of the practices that strengthen secure bonds and attachments is the Early Learning Center staff. The fuel that powers the vehicle is the priorities, policies and procedures of the Early Learning Center as manifested through staffing patterns, staff qualifications, access to ongoing training, appropriate supplies and equipment, and curriculum that addresses relationships and self esteem, as well as academic concerns. Two major impediments to addressing this critical concern in Early Learning Centers are an overly sparse staff to student ratio and staff turnover. In order to form strong secure attachments, a child must have an interpersonal constant object, a person that is consistently present for the child over years. Additionally that constant object must be physically and emotionally available to attend to the child throughout the time they spend together. Even the best intentioned and well trained staff, working in an Early Learning Center with an inadequate ratio of adults to children is not physically or emotionally able to do what needs to be done. Add to that a revolving door in which staff regularly appear and disappear in children’s lives, and the process is effectively suspended during the time the child spends in the Early Learning Center. The long term effects on children cared for in Early Learning Centers that lack the necessary elements and support for staff to attend to this critical developmental need are initially invisible as compared to the visibility of physical and academic skills. Yet the far reaching effects over a lifetime of neglecting attachment and bonding concerns are so profoundly more important it is crucial that parents explore this area when selecting an Early Learning Center for their child. Math, science or reading tutors can be provided at any time in a child’s journey through academia. Bonding and attachment tutors cannot. Once brain formation is complete, only incremental improvements in this all important process can occur.